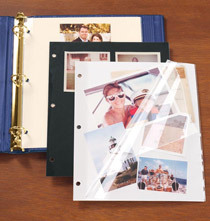 Make sure all your favorite photographs are protected and organized with this Charter Leather Photo Album. 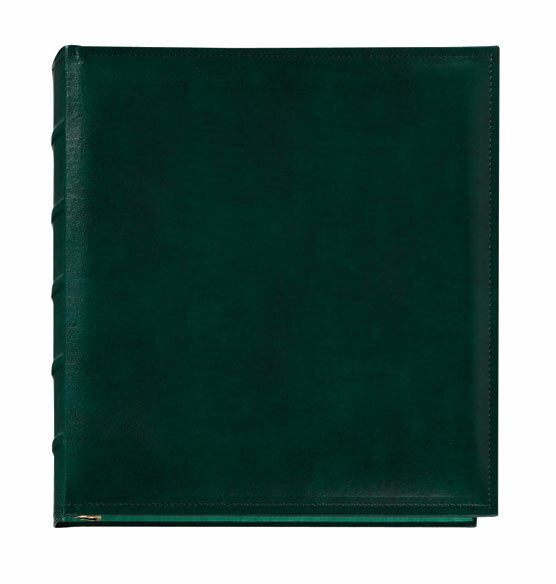 Designed in the tradition of the classic vintage photo album, our Charter album is wrapped in rich bonded leather and detailed with top-stitching for an authentic look and feel. 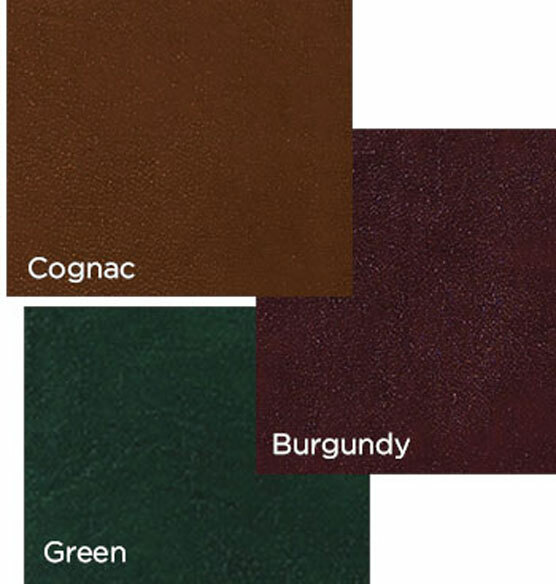 Choose several colors for easy photo theme organization. So easy to make this look professional and yet it doesn't take that much time to complete once you have your pictures all gathered and sorted! Beautiful leather and a great quality album. I've purchased 5 and they keep my photos well organized. The go-to album for me. I have many albums from Exposures. 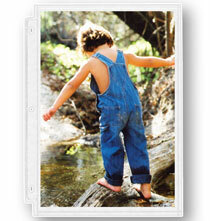 I use some for storing vintage greeting cards, some for storing travel ideas, some for family history and photos. I chose this style for record-keeping: storing charge card receipts, insurance info, bank info, investment info, medical info. The spine patch works beautifully on these. This is about my 10th (or more) Charter album. You can find less pricy albums, but these albums hold up so well (some of mine are 25 years old!) and the quality of the photo pages is so good. I have been buying them for years. The rings hold up well and I like the moire finish inside. We have used them for years. They are excellent. 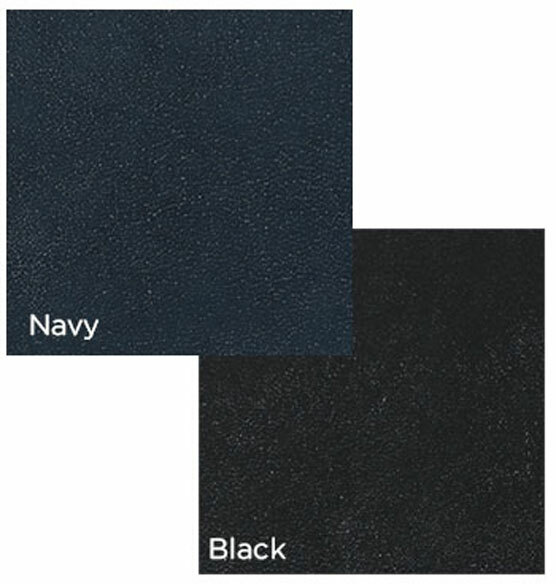 I have purchased a number of these albums and they look fantastic in any color. "First time shopper. Existing reviews on your products have been very positive. " This is a decent album in appearance and quality while still falling in a price range that I find acceptable. Perfect quality and price for multiple photo projects. Have been using them since 1995. Every album looks as good as it did when I started the album. I ordered several photo albums from you in the past. Fits my existing library of albums. It's leather. We have several and like them. Hard to find such a quality album anywhere else! I chose this album because I have ordered this album in the past and it is a very good quality product. I like the quality and the design of this album. I have several in this style in different colors. 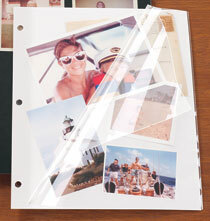 Have several of these albums and like the plain but classy design with matching moire lining. A high quality album that holds all the photos we took on our two week trip to Asia. i like the richness of the color. It matched the size of already purchased photo pages. I have five of these albums and find they are attractive and well made. "very well made and looks rich and elegant"
How thick is this album? BEST ANSWER: The spine measures 1 1/2 inches. All three albums have 41 to 45 pages. That is plastic pages that hold 6 pictures each. That would be front and back. You can do the math to determine how many pictures in each album. For documents I use a single plastic protective page. This would be for (2) documents, front & back. When filled with pages where the front and back of the album are parallel, and not overstuffed, it will be 1 3/4 inches thick. do the pages have adhesive on them or do your photos just slide in. Is the plastic lignon free? BEST ANSWER: The pages do not have adhesive on them. The photos just slide in. Also, they are lignon free. Yes. They just slide in. Does this album allow for labeling of the spine? BEST ANSWER: Thank you for your question. The spine patch can be purchased separate. Please see the link below. We hope this information will be of help to you. CAN THIS PRODUCT BE PERSONALIZED? CHARTER PHOTO ALBUM. NEED 1 LINE. BEST ANSWER: Thank you for your question. Yes, we do offer this album style with personalization. We have included below a link to this album with the option of personalization. We hope this information will be of help to you. What are the dimensions of this album? BEST ANSWER: Thank you for your question. The album is 11" wide by 11 7/8" high. We hope this information will be of help to you. 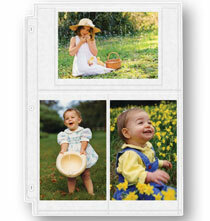 I want a photo album with pages that hold 3 ½" x 5 ½" photos. Does this album have them? BEST ANSWER: Thank you for your question. Depending on how thick you get the pages it can hold from 30-40 pages. We hope this information will be of help to you. I want paper/card stock pages to put in this album, where are they? BEST ANSWER: Thank you for your question. Please see the link below to view our 3 ring sheet protector pages.We hope this information will be of help to you.